Booksellers Without Borders | We are the remaindered. Full disclosure: I’m not one for zombie novels. Or zombie anything, really. And it’s not for lack of trying. I’ve seen The Walking Dead, Shaun of the Dead, Zombieland, 28 Days Later and I Am Legend and I’ve read World War Z, Pride & Prejudice & Zombies and various other zombie stories. Aside from a couple of chuckles and a healthy sprinkle of nightmares, I got nothing. But I think I may have pinpointed the issue. Zombie novels have no real thought behind them. Wait! Before you gnaw my head open for some juicy braiiinns, let me finish. The human characters in zombie books and movies have deep thoughts about their situation and the purpose of their horrific existence. But this is all in-between fighting thoughtless murderers (in the literal sense). I mean, in the canon of zombie literature, zombies are usually without a philosophy or desires other than to feed. And I can understand the logic behind that but it doesn’t mean I have to like it. That’s why when my seeester handed me this book and said that it was “not has good as The Hunger Games but better than Twilight,” I was not expecting much. Plot. “R” is a zombie living in a zombie colony in an airport. And yes, he does what zombies do: hunt people and eat brains. But he also desperately wants to know his name. All he can remember is the first letter. And he wants to know his zombie friend’s name. And his zombie wife’s name, which is printed on a name tag pinned to her shirt which he can’t read because he lost that ability when he turned. He also wants to converse with his fellow zombies about their lot in life, about when they turned, about whether they still dream when they sleep, about their theories on how they came to be (plague? bombs? evolution? ), hell, even about the weather. But he can’t. Stringing two coherent syllables together is his personal best and he’s the most articulate of the group. What “R” craves more than anything else is humanity. He wants nothing more than to experience and share and talk again. Which is why he loves eating brains. 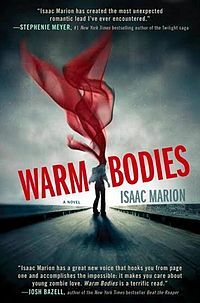 When he bites into a person’s brain, he becomes privy to their thoughts, fears and memories – things that he lost God knows how long ago. And this is where “R” is when he goes hunting with his friend and comes across a group of teens/adults to NOM. “R” tackles some guy and busies himself with his brain when he sees a girl out of the corner of his eye. And since he just ate her boyfriend’s brain (with all the memories and feelings he felt for this girl), he feels inexplicably attracted to her. While the rest of his zombie gang busies themselves with devouring everyone, “R” rushes over to the girl, smears her with blood to camouflage her human scent, and takes her back to the airport. He keeps telling her, through stilted words, that he’s doing this to protect her. But it’s more because she awakens things in him that have long laid dormant. Also, she knows her name and can say it: Julie. Big advantage over the wifey there. This is the tension in the novel: the human philosophy versus the philosophy of the undead. Which one will win? Who will defeat whom? Can they co-exist? Are they all that different? Can Julie and “R” hope for any sort of real life together given who/what they are? Also, “R” kind of ate Julie’s boyfriend. You don’t just get over that kind of thing. Right? 4.5 out of 5 coffees. Read the book soon; the movie comes out this Friday. Also, the soundtrack! 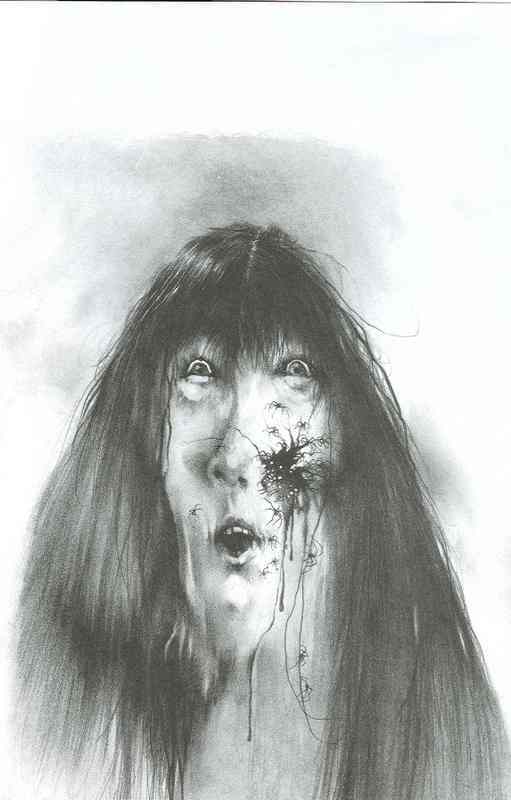 I’ve never really read anything from the Horror genre. 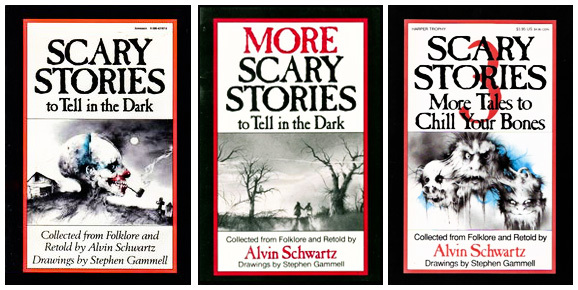 Unless you count those scary stories that were ubiquitous growing up, which not many horror-genre fanatics would (seriously, though, why was it okay for little kids to read those stories? Do you remember the one where the spider laid eggs in the woman’s cheek?! ENDLESS NIGHTMARES!). 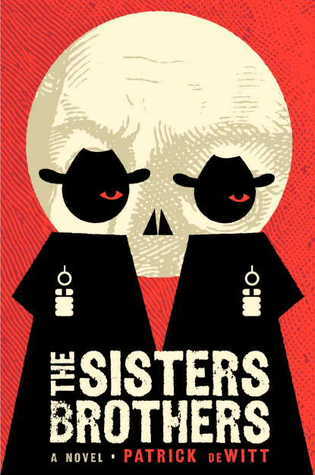 But I heard about the premise of the novel somewhere and then I saw on the cover that Stephen King recommended it and I thought, if I’m going to try a new genre, why not start with a book stamped with the approval of the author of that genre. So, premise. Alex and Leslie Twisden are hella-wealthy. Like, “Oh that ottoman? It’s been in the family for generations and is worth a bajillion dollars” wealthy. They have everything they could ever want, except a child. Even after spending unspeakable amounts of money and meeting with fertility specialists, taking homeopathic medications, and dealing with witch doctors, they are sans an heir. Leslie is ready to throw in the natural-birth towel and adopt a child. But after running into a formerly barren couple of their acquaintance pushing a pram, Alex insists they try just one last time. The couple – rather reluctantly – tells them about a doctor somewhere in an eastern European country whose success rate is unmatched. It’s all very experimental but Alex is so desperate and Leslie loves him so much, that they decide to give it a go. Soon they find themselves in the cold, desolate office of the doctor who has three shots prepared for each of them. Leslie watches as Alex writhes and screams in pain with each administration. With each needle, Leslie’s resolve falters. And when it’s her turn, she refuses to go through with it. She begs Alex for mercy, a reprieve from what appeared to be excruciating pain. But Alex simply steps out of the office at the doctor’s suggestion and listens as his wife screams his name in vain. Yikes, guys. Grounds for divorce, much? But it works. Leslie gets pregnant. And hairy. Like, unbelievable hairy. Everywhere. And Alex is right behind her. And they’re both craving meat. The very rare kind. And Alex can’t help thinking how much he wants to maul the family lawyer. Even though all the lawyer is doing is getting Leslie off the hook for biting a doctor. But none of that matters because soon it is time for Leslie to give birth. And she has twins. Well, triplets, really, but the third is barely human and is disposed of in short order. The twins – Adam and Alice – live what appears to be a privileged life: prep school, wealthy home, refined parents. But nobody knows that their parents lock them in their rooms every night. And their pets keep disappearing. And so do their nannies. And nobody knows that Adam and Alice have been planning their escape from a home they have never felt safe in. All right. Enough plot summary, guys. This book could have been so good. The plot was so promising! But the tropes used by the author came off as cliche. And some of the messages – meant to be subtle, I’m sure – came off so heavy handed. For example, Adam and Alice come to depend on one of their teachers to escape their parents. And the teacher is gay. Big deal. But Novak makes such a big deal about it. He has the teacher endlessly second-guess his actions because they might be construed as predatory. But the story takes place in Manhattan in the year 2012, not in some rural town in the 1950s. If somebody observes a man hugging a young child in a Museum, no one assumes that the Pedo-bear is on the prowl. I wanted so much to like this book. But the poor writing, the cliches, and the unnecessarily conspicuous message that gay people are just like us were so tiresome that I couldn’t reach the end soon enough. 3 out of five coffees. Also, check out this campy trailer for the book. Are these a thing now? You guys, this book. I understand that smutty love novels are a thing right now, what with Twilight and Fifty Shades of whatever being super hits. And I guess that’s the reason why this book is a thing. But it’s just so bad! I already tortured myself by reading the first three Twilight books (I couldn’t get myself to pick up the fourth) and I wasn’t about to pick up the Fifty Shades trilogy because I have some self-respect. So I thought, hey, why not at least try the book that people are using for their Twilight/Fifty Shades hangover. I would have been better off eating a shoe. So, Abby Abernathy (yes, this is the protaganist’s actual name) has a past that she wants to distance herself from. So she attends college, dresses preppy, and pretty much behaves herself. And then she meets Travis Maddox. He is lean, muscled, fights for money, and has tattoos, as bad boys (in bad novels that use cliched tropes) are wont to do. Maddox is also kind of a womanizer in that he’ll jump anything that half notices him. And Abernathy finds this incredibly appealing but dannnnggeerrous to her plan of re-inventing herself. So she steels herself from Maddox’s douchery charm. But she doesn’t do a good job. Somehow she ends up agreeing to a bet with Maddox where, if he loses he must stop his wanton ways for a month but if he wins Abby has to stay with him for a month. Stay with him. In his room. In his bed. So, to move the plot to it’s eventual and pitiful conclusion, McGuire has Abby lose and move into Maddox’s house. And this is when the cray comes out. Maddox is hella jealous! Like, if he sees Abby talking to another guy, he starts shaking with anger. Meanwhile, he continues to sleep with women (sometimes two at a time) with Abby sleeping in a nearby room. But see, this is all okay because they are meant 4 each other!!!11! Look, I get it. Love (or infatuation or obsession…whatever this is) makes you do weird things, make poor choices, and not see things clearly. But if it looks, smells, and sounds like an abusive relationship, that’s what it is. I swear, this book makes me want to revoke Jamie McGuire’s right to vote. She single-handedly pushed women back a generation with this junk. Like Stephanie Meyers with Twilight. Don’t read this. Read The Hunger Games or Female Chauvanist Pigs or, I don’t know, the back of a box of cereal. Anything but this. One coffee out of five. Raspberry! p.s. Apparently this is book one of a trilogy. Because, of course. So-called minorities tend to have a tense relationship with the scientific/medical field in any society. And yes, this “tense” relationship almost always includes restricted access to good health care. Take a look at the United States right now. It doesn’t really matter where you stand on the debate on nationalized health care, it doesn’t take a dummy to realize that those well endowed with money are less likely to suffer from diabetes, heart disease, bad teeth, cancer, and most other common health problems. But that’s not all I mean when I say tense. There is an ever-present lack of trust between minorities and the health care industry. And this book by Rebecca Skloot tells one story that illustrates why through what happened with one African-American family in the 1950s. When Henriette Lacks went into the gynecologist’s office at Johns Hopkins in 1951, she knew something was wrong. She should have gone earlier, but when you’re part of a group that has been systematically experimented on by the medical community (look into the Tuskegee Experiment, if you don’t know what I’m talking about), had bodies of your deceased relatives dug up and transported to medical facilities in barrels labeled “Turpentine” for scientific research, or heard stories all your life of people disappearing when they got too close to Johns Hopkins, you don’t really rush to get your yearly physical. By the time Henrietta made it there, the cancerous tumor in her cervix was pretty well established. Her doctors did what they could, gave her the best treatment offered to colored patients at that time, but really they knew there were only putting off the inevitable. She wasn’t going to make it. But of course, they didn’t tell her that until she was nearly dead. They also didn’t tell her that they took a sample of her cervical cells – cancerous and not – for further study. This was pretty routine procedure back then, so nobody thought much of it. In fact, everyone assumed that once her cells were taken to the lab, they would survive for a bit and die out, just like all other cells. 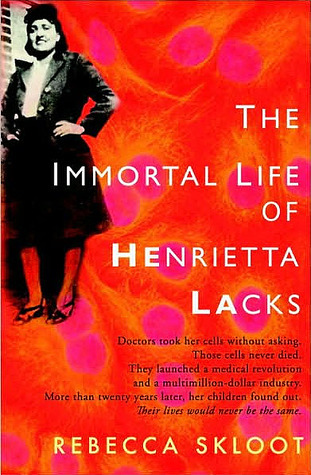 LONG after Henrietta Lacks died, her cancerous cervical cells, known has HeLa in the scientific community, were still being used to conduct research on the newest cancer medicine, antibiotics, HIV meds, you name it. In fact, HeLa cells are still being used today. Like, right now. Seriously – go into any lab right now and you will almost certainly find Henrietta’s cells being used in some experiment. And serious scientific breakthroughs are being made, people. Her family would be so proud. Except they had no idea what was going on for a very long time. Yup. Yeah. No one told them. By the time the found out what was really going on with Henrietta’s cells, her children were well into their 50s, some were in and out of prison, and all of them were suffering from common health problems like diabetes, heart disease, and stroke. And not a one had health insurance. Their mother’s cells were solving health problems around the world and were making millions for people in the medical field, but they couldn’t afford a visit to their general physician. And the irony is not lost on them. Add to that a lack of any real scientific knowledge and you wouldn’t have a hard time understanding how much emotional turmoil, anger, and fear the Lacks family feels toward Johns Hopkins and the medical community at large. This book is really hard to read because it serves as proof of how disposable certain people were considered. Are considered. I don’t know. It also brings to light a very important issue in today’s world: once, say, a tumor is removed from your body, do you have rights to it and any money from medicines scientists develop though experiments with it? If so, what’s to stop people from extorting exorbitant amounts of money from research scientists, making research with cells cost prohibitive? I’d hate to be part of the committee in Congress deciding this pickle. Four out of Five coffees. I know what you’re thinking: What are you reading ipsedixit? And to that I reply, I know. I KNOW. But I’ve been dealing with some heavy stuff of late and I needed some light reading. And I might have gone a little too light. And by too light I mean just shy of Twilight. Because, you guys, this book. First, can we talk about the cover? I finished the book over the weekend just to avoid walking around with it at work. And it’s an incredibly quick read, so that wasn’t too bad. What was bad was when I found out that this is part of a trilogy. Like, there is more to this story. But, I am getting ahead of myself. Lemme back track a bit. So, right before the bookstore I worked for closed, girls were coming in droves looking for this title. The same girls who, a couple of months earlier, spent their allowances on the Twilight series. So, I should have known what I was getting myself into. Alona Dare is your typical high school Queen Bee: hot, obsessed with her looks and status, cruel to those beneath he, but with a secret home life that she hides from the rest of the world because it’s so shameful. Collective eyeroll on three! One day, when she’s sneaking out of first period gym class to make an important phone call to someone from her seeecret shameful life, she gets hit by a bus. Just like that. Poetic writing, this. She’s doomed to being a ghost until she figures out how to transition. And, as luck (or cliche writing, depending on how you look at it) would have it, the only person in school that can see her is the, like, the totally atrocious and super freak Will Killian (Alona’s sentiments, not mine). And what does this Will Killian, this person who can see and talk to dead people, look like? Oh you know, dark clothes, black hair, fair skin and light eyes. The only explanation we get for why Will can see dead people is that it’s genetic. Mmmkay, Stacey Kade. Henyways, for reasons that I will not get into because I respect your time and intelligence, Killian agrees to help Alona figure out how to transition. And, as we all expected, he starts to get the feelings for her. Ugh, I’m not gonna test your patience. It ends pretty much how you’d expect it to end. With me in tears over the choices I’ve made in life that led me to this book. 1 out of 5 coffees, people. RUN AWAY.